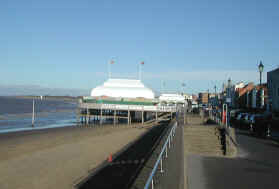 Burnham-on-Sea has a fine esplanade and seafront overlooking Bridgwater Bay and the distant Welsh coast. It is situated in the rolling countryside of Somerset with its charming villages and busy resorts. It is also very accessible as it is not far from the M5 motorway. 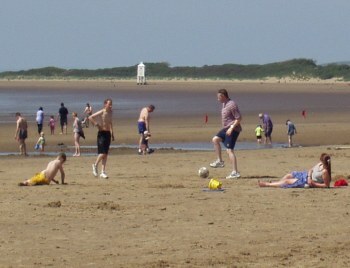 Burnham-on-sea is blessed with one of the largest beaches in the Westcountry. It stretches for seven miles past the town and on to the villages of Berrow and Brean Sands. At low tide the beach is wide and is often used for sand yachting and kite flying. The tidal range is one of the largest in the world and the tide moves very fast as a consequence of this - it is advisable to check on the tide times before venturing too far. 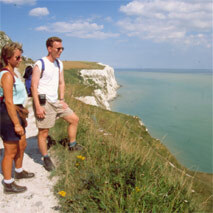 There is a wide range of accommodation available in the town and plenty of cafes and restaurants. Brean Down Fort - Restored Napoleonic era fort and cliff tops. Nearby and well worth a visit are Wells, Glastonbury and Cheddar Gorge.